Our product range includes a wide range of high pressure air compressor, screw air compressor and oil free air compressor. We have designed CLASSIC series compressors especially for small, up and coming trades businesses. The product range focuses on common sizes allowing us to deliver exceptional value for money. Kaeser‘s CLASSIC series compressors combine great quality with exceptional value at prices that are attractive even to small companies. 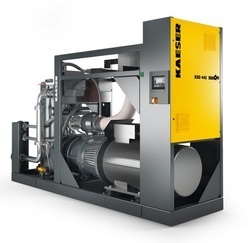 A highly durable Kaeser compressor block forms the heart of each compressor, all of which are produced, assembled and tested at the main plant in Coburg, Germany. High-quality materials and precision machining ensure reliable operation and long service intervals (oil changes only required every 2 years or after 1000 hours of operation). CLASSIC series compressors therefore provide complete peace of mind when it comes to ensuring a reliable supply of quality compressed air. We have a dedicated team specialising in high pressure compressed air and gas equipment. 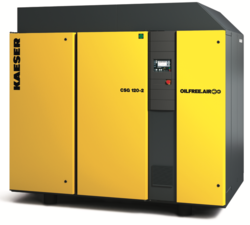 Providing specialised equipment for industrial gas compression with air compressors delivering up to 350 bar. Our high pressure compressors are available in both oil-injected high pressure trunk-piston as well as oil-free technologies. Our high pressure compressors can be used for the compression of the following gasses: Air, Nitrogen, Natural Gas, Hydrogen, Carbon dioxide, Carbon monoxide, Helium, Matchane and more.